Gia Campari, David Glassman, Michael Jeans, Patrick McHugh, David Peregrine-Jones, David Shannon and Benjamin Taylor bring combined experience from across a wide range of business sectors to help you think through your professional problems! 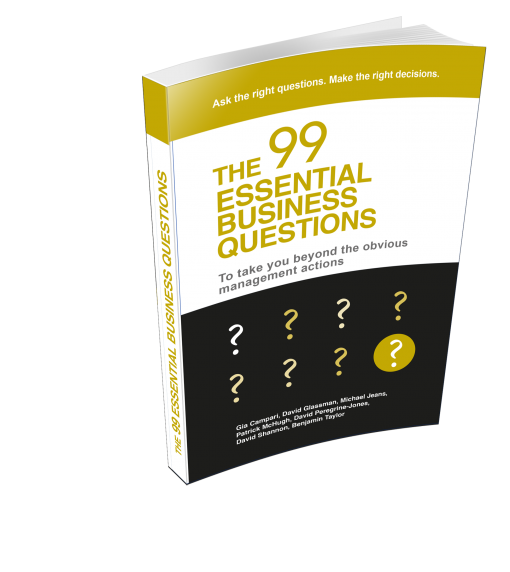 The 99 Essential Business Questions will not provide you with the answers ÔÇô but by helping you work through questions associated with your issue, will lead you to finding a possibly less obvious answer to your specific situation. The book came about as a result of conversations at the Worshipful Company of Management Consultants, a livery company of the City of London. The seven authors are seasoned management consultants with collective experience of more than 200 years of professional practice. 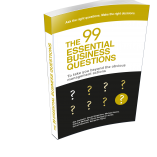 The book grew from their desire to capture their experiences of insightful questioning and package it in a way that is accessible and informative, helpful and practical for practising managers today.